In Scaffolding. 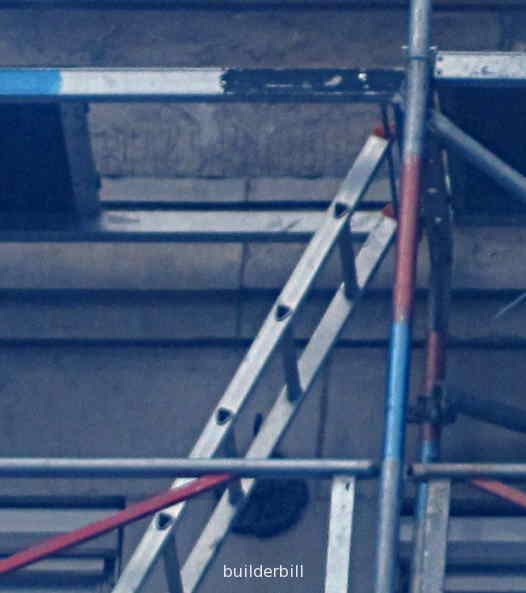 The provision of spaces and ladders to allow access to the different levels of the scaffold. Above is a small modular system showing the purpose made hole in the platform. It is just possible to see that the top of the ladder has a bolt running through both sides of it securely fixing it to the platform. This type of access is not intended for taking materials to higher levels. The blue haze to this photo is caused by a fine safety mesh on the front of the scaffold.